Dental flossers? Seriously? 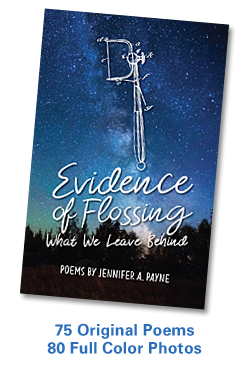 Come find out the real meaning behind the book Evidence of Flossing: What We Leave Behind at a Book Signing with local writer and naturalist Jen Payne, hosted by Rock Garden in Branford on Saturday, December 16 from 12 – 3pm. 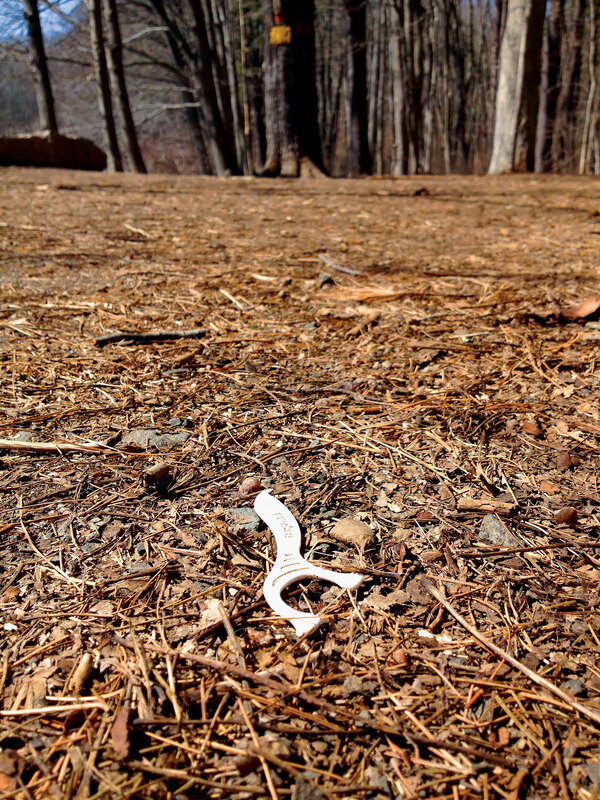 Evidence of Flossing: What We Leave Behind follows on the heels of Payne’s 2014 well-received book LOOK UP! Musings on the Nature of Mindfulness, and continues a dialogue about our innate connection with nature. For more information and to purchase copies of the book, please visit www.3chairspublishing.com. This entry was posted in Art, Books, Creativity, Ecospirituality, Nature, Photography, Poetry, Writing and tagged Art, Book, Books, Branford, Connecticut, Cosmology, Creativity, Ecospirituality, Jen Payne, Mindfulness, Nature, Photography, Poetry, Spiritual Ecology, Spirituality, Storytelling, Writing, Yale, Yale School of Forestry & Environmental Studies. Bookmark the permalink.